We have tons of great patterns for both our Shibui yarns including the Boxy Pullover. This is a nice and warm sweater, with a cozy, loose fit. 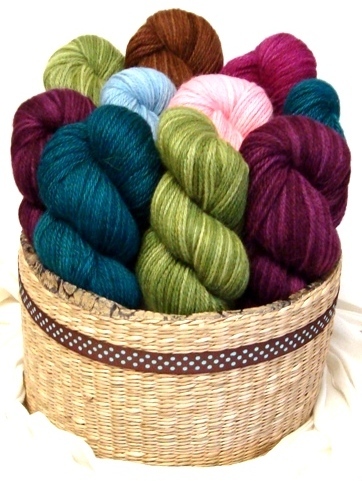 The Baby Alpaca Dk is currently only at the Point Grey location, but will be delivered to Edgemont on Thursday. This week’s special is Debbie Bliss Pure Cotton at 25% off. This is a fabulous cotton at a great price! I’ve personally knit with this yarn in the past, and absolutely love it! Pure cotton is an aran weight yarn knit on 5mm needles, and we have 14 great spring colours to choose from. This entry was posted on Wednesday, March 24th, 2010 at 12:24 pm	and is filed under Uncategorized. You can follow any responses to this entry through the RSS 2.0 feed. Both comments and pings are currently closed.